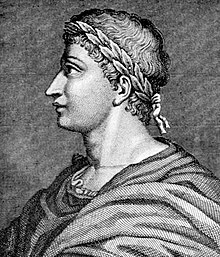 The Ovid Prize, established in 2002, is a literary prize awarded annually to an author from any country, in recognition of a body of work. It is named in honour of the Roman poet Ovid, who died in exile in Tomis (contemporary Constantza), on the Black Sea, in Romania. Laureates are awarded 10,000 euros. The Ovid Festival Prize, worth 5,000 euros, was also established in 2002. Past recipients include George Szirtes, Tomaž Šalamun, and Ismail Kadare. The prize underwent a change of mandate in 2007. Since 2008, it has been awarded to a prominent young talent. Both Prizes are the joint initiative of the Writers' Union of Romania and the Romanian Cultural Institute (Romanian: Institutul Cultural Român). The winners are nominated by the Festival jury. The awards ceremony takes place during the Days and Nights of Literature Festival (Romanian: Zile şi nopţi de literatură) held jointly in Neptun and Mangalia in June. The Prize is also referred to as the Ovidius Prize. Past recipients include Orhan Pamuk, Andrei Codrescu, Amos Oz, Jorge Semprún and António Lobo Antunes. The 2011 Laureate was the Czech writer Milan Kundera. In a letter addressed to the chairman of the jury, Milan Kundera, who could not attend the ceremony, accepted the award. Kundera donated the prize to Humanitas Publishing House which has published most of his works in a Romanian translation, with the mention that the money should go to assisting Romanian literature. ^ "Orhan Pamuk: Awards and Honours". ^ "Andrei Codrescu: Going Home Again". ^ "Amos Oz receives Romanian Ovidius Prize". ^ "Ovid Literary Prize Awarded to Spanish Author Jorge Semprun". Archived from the original on 2012-11-04. ^ "Milan Kundera - laureatul din 2011 al Marelui Premiu Ovidius". ^ "Jean d'Ormesson reçoit le prix Ovide". ^ "Péter Esterházy şi Joey Goebel – premiaţi la "Zile şi nopţi de literatură"". ^ "Romania Culturala". Archived from the original on 2011-07-16. ^ "Among the participants, Peruvian novelist Mario Vargas Llosa, who received the festival's Ovidius Prize". This page was last edited on 16 February 2019, at 18:39 (UTC).